This is the time, this is the year. Let all Singaporeans and Singaporeans at heart bring forth their unity and pride for a nation and for each other. First Release in New Series! The Lion City / SG 50 is the first in a 3 coin set to commemorate Singapore’s 50th year as an independent nation. 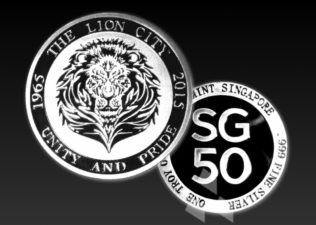 Singapore is known all over the world as “The Lion City.” For Singapore to become what it is today, all races, religions, cultures, etc. had to unite, and at the same time have great pride in their collective unique and individual heritages. 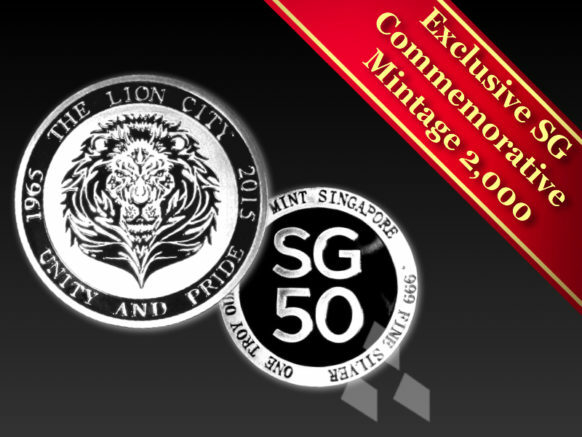 In celebrating Singapore’s 50th year as an independent nation, we hope that all of Singapore will unite and be proud of our island nation home.